Chachi Gonzales is an American dancer and actress who gained visibility for being the member of the dance crew I.aM.mE and won America’s Best Dance Crew in 2011. She is also known for her recurring roles as Jasmine in the TV show, East Los High and as Addy in Freakish. 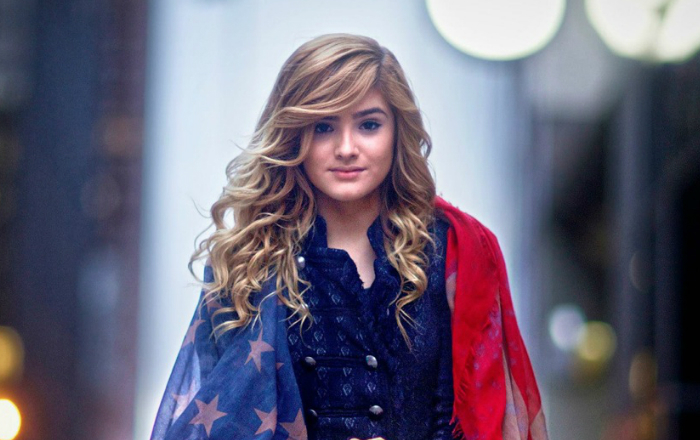 Chachi Gonzales was born on 23 January 1996, in Houston, Texas, United States. She is currently 23 years old. Chachi Gonzales attended Lanier Middle School in Houston, Texas, where she was part of the hip hop crew. Gonzales was in a relationship with YouTube star, Josh Leyva, from 2014 until 2017. Chachi Gonzales has her first acting role in the 2014 thriller film “The Legend of DarkHorse County” where she portrayed the character as ChaChi Bishop. In 2011, Gonzales appeared in the reality show America’s Best Dance Crew and won the season title. She has endorsed many brands like Honda Civic, HP, Tarte Cosmetics, Invisalign, Clairol Color, Clinique, and M&M’s chocolate. Being the part of I.Am.Me dance crew. Her strong presence on social media platforms like YouTube, Facebook, Twitter, and Instagram. she has earned over 1.3 million subscribers on her self-titled YouTube channel. Gonzales was one of the backup dancers for the Tribute to Britney Spears as part of the 2011 MTV Video Music Awards. Although there are no details about her net worth available at this time, it’s sure that she makes millions from her dancing performances, endorsement deals, film and TV appearances, and YouTube advertisement revenue, among others. Her first name Chachi translates to “muchachita“ in Spanish, which means “little girl”. She started taking ballet lessons from a local dance studio when she was six years old. She was part of the hip hop crew at her school that helped her to hone her dancing skills. In 2012, she won the Teen Choreographer of the Year Award at the World of Dance 2012 Industry Awards. The same year, she performed with I.aM.mE in the Disney TV programme, Shake It Up. She launched her own clothing line in 2014 called Dotheads By Chachi. Ben Affleck was her first celebrity crush. Chachi Gonzales has choreographed in a bunch of films as well as conducted dance workshops worldwide, including the United States, Philippines, Belgium, Russia, the UK, Ireland, Mexico, Spain, Germany, Slovenia, Poland, Portugal, Australia, Brazil, Canada, Thailand, and India. Gonzales won the Remi Award for Best Supporting Actress for her performance in the film The Legend of DarkHorse County at the 2014 WorldFest-Houston International Film Festival awards. In 2015, she won the silver Remi Awards for Original Comedy Short for 2014 In the News episode “Dog Day”. In 2016, Gonzales guest appeared on the Nickelodeon TV show, Make It Pop. Gonzales has an official app for both Android and iOS created to keep contact with fans.